It's been a long run here at AAAD. Six years! And yes, we've been waiting for HomeKit to take over the world for the better part of a decade. While things have been largely stagnant on THAT front, the rest of our tech world has changed dramatically. Back in 2012, we moved to the Chicago suburbs and became landlords. We got to work making our new house our own - building out the home theater, finishing the basement, removing trees and building a shed. Then, after 5 years, we refurbished and sold the Chicago condo. Lots of change - but our technology evolved even more quickly. We went from WOW cable, to DirecTV's Genie system, to cord-cutting. Last year, we put an Apple TV on every television in the house (hardwired via Ethernet!) and started using the Sony Playstation Vue app. We added a QNAP NAS to our system, which stores our photos, music and movies, and serves them up to our Apple TVs via Plex. We went from a CD collection, to an iTunes library, to an Apple Music subscription. At this point, we have immediate, on-demand access to almost every piece of entertainment ever created. (And if we DON'T have something, we can find it pretty quickly.) It's really something to behold. One thing I desperately want - and which Apple has never effectively "cracked" - is to move our iTunes and Photos libraries to an always-on server in our basement. 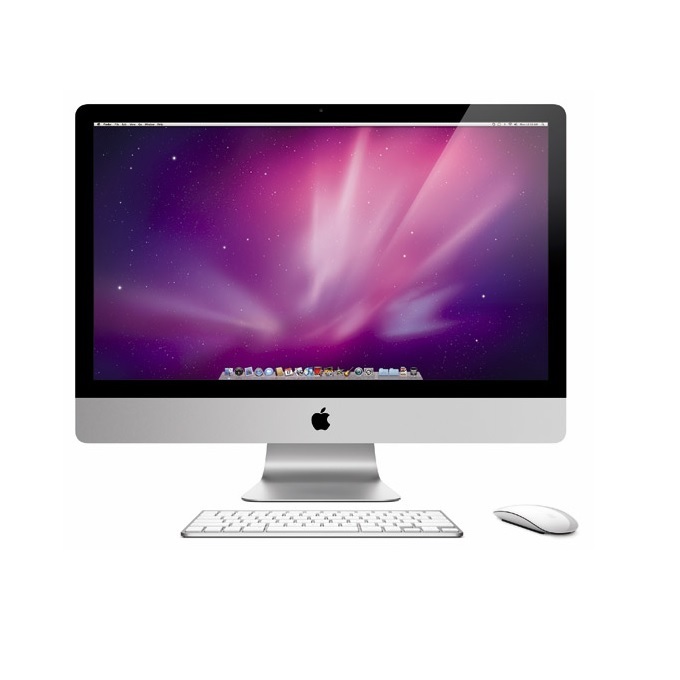 We just got a new 5K Retina iMac, but I don't want the iMac to be the sole central repository of our media libraries. I don't want to have to make sure iTunes is open and the Mac is on, in order to play my locally stored music. For years, the answer WOULD have been to get a Mac Mini, install macOS server, and use that as our primary home server. But Apple stopped making worthwhile Mac Minis in 2012, the year this blog started. Recently, Apple recently announced that it was deprecating most of its macOS server functions, and would focus on "management of devices". The Apple internet reacted extremely negatively to this news. I'm kind of excited. I'm HOPING that this is code for macOS evolving into a consumer-level "central computer", which handles media, but which leaves the typical hard-IT server functions to the cloud. If I can buy the successor of a Mac Mini, plug it into our NAS, and use that to handle our iTunes libraries, I'd be extremely happy. We originally had an AAAD project called "AirPlay Everywhere". That was superseded by Sonos, as AirPlay couldn't do the multi-room tricks Sonos could. But now that AirPlay 2.0 is imminent, it's possible that our Sonos system will "play nice" with HomePod. If not...well, HomePod wins, and the Sonos stuff will hit eBay. Voice control - and HomeKit control - are just that important. We put in SO much work! And we just barely finished! Why would we ever move?! Well.... a few years after moving to the burbs, we had a second child. So it's starting to feel a bit crowded, especially when we have grandparents over. Also, I got a job that's about 40 miles from our suburb... which is a bit of a strain. So maybe a move (or even a vacation condo nearer my office) would make sense! We need projects! When I started this blog, the intent was to chronicle a number of major projects. A new home theater in the living room. A finished basement. A home server. A home audio system. The one constant during the last 6 years has been change - a consistent evolution toward making technology faster, simpler, and more comprehensive. It's been fun writing about all of this - I never thought we'd see the response we did, with hundreds of thousands of pageviews. The news out of Apple has seemed.... slower in recent years. I've waited on new Mac Minis and new HomeKit gear for YEARS. And the pace of posts here at AAAD has reflected that. I'm going to keep blogging about all things Apple - ideally, a bit more often than I have in the last year - but we'll be mixing in more travel reviews and home-renovation posts.